One particularly challenging exposure is a chloride-rich environment. In coastal areas, chlorides are present in seawater and get deposited on building surfaces, even some distance from the shore, by winds. In noncoastal regions, chlorides are often present in products used to melt ice and snow in the winter. While building owners may be sensitive to the corrosion risk presented by these chemicals and limit the use of chloride-containing products for de-icing, chlorides are still widespread in many urban locations because these products are employed on nearby roads and public walkways. Salt spray from cars passing along a nearby roadway has contributed to corrosion at the base of the steel columns and ferrous staining of the adjacent stone. The stainless steel sheet metal wrapping the base of the steel column exacerbated corrosion of the base of the steel column. 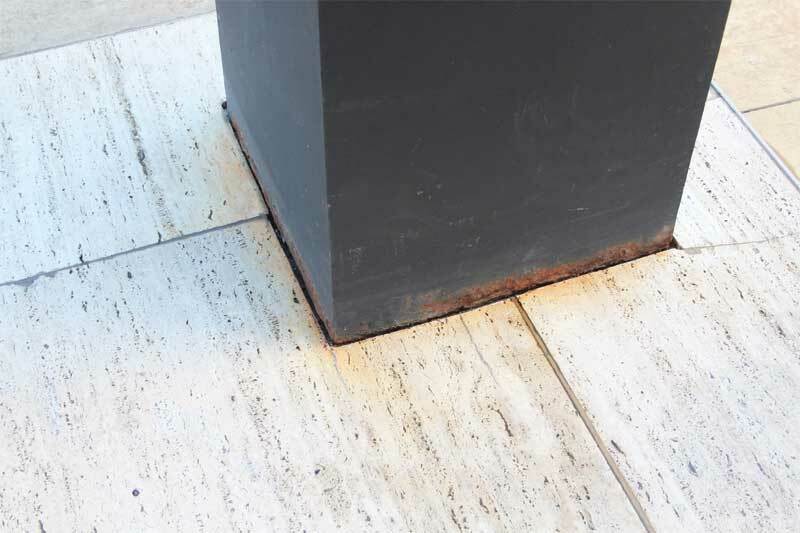 Chloride-induced corrosion at the base of columns, railing posts, and other similar steel elements can cause unsightly staining. In the example shown, although the building management had taken care to avoid chloride-containing ice melters, steel columns near the roadway were sprayed by chloride-laden water from passing cars. Following repairs to the steel and removal of staining from the adjacent stone, an annual maintenance program was implemented to wash the base of the columns and adjacent façade with a chloride-neutralizing detergent each spring, and to touch up paint coatings protecting the steel as needed. More critically, chloride-induced corrosion can result in significant damage to the steel elements. For structural elements, this is especially problematic. In an attempt to avoid cyclical maintenance to address corrosion of steel at the base of exterior columns, at another building, columns were wrapped with a stainless steel sheet metal sleeve that was, in turn, sealed to the column. 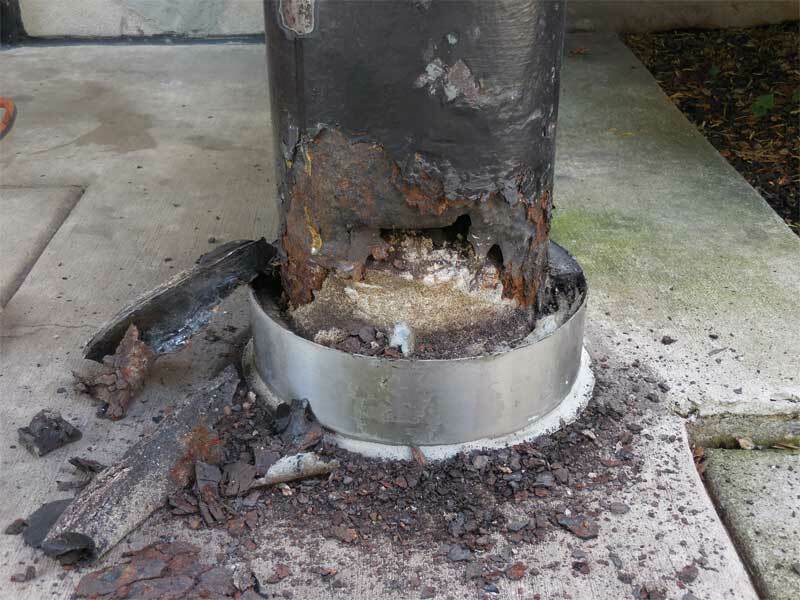 Although the sheet metal was more corrosion-resistant than the column, this approach unfortunately did not address existing chloride contamination on the surface of the column or within the concrete fill at its base. Failure to maintain the perimeter sealant exacerbated the condition by allowing chloride-laden water to continue to come in contact with the surface of the mild steel column. A major structural repair was required to restore the column’s integrity. Best practices for construction of mild steel features such as columns and railings at the base of buildings should take into consideration proper surface preparation and protection of the steel by application of rust-inhibitive coatings, as well as detailing to protect the steel from corrosive environmental factors to the greatest extent possible. 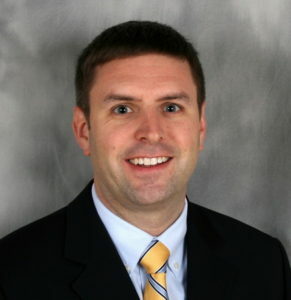 Cyclical maintenance programs should avoid the use of chloride-containing ice melters on adjacent paving, and also include regular inspection and treatment of coating deterioration and surface corrosion.